There is a difference between being a casual drinker and a full-blown alcoholic. It is no doubt we all have enjoyed 1 or 2 drinks when we are out enjoying ourselves with friends, but the key is to know when enough is enough, how much your body can handle, as well as whether or not you are relying on alcohol in an unhealthy way. Though the two may sound the same, they do have two slightly different meanings. Alcoholism refers to the dependency and addiction when a person has a physical or psychological need to consume alcohol, whereas alcohol “abuse” is the specific pattern in which the individual drinks excessively despite the negative consequences and effects they will bear. Alcohol abuse is almost as if their life solely depends on alcohol. To spot the main differences between alcohol abuse and alcoholism, pay attention to the severity of the symptoms and signs each accompanies. 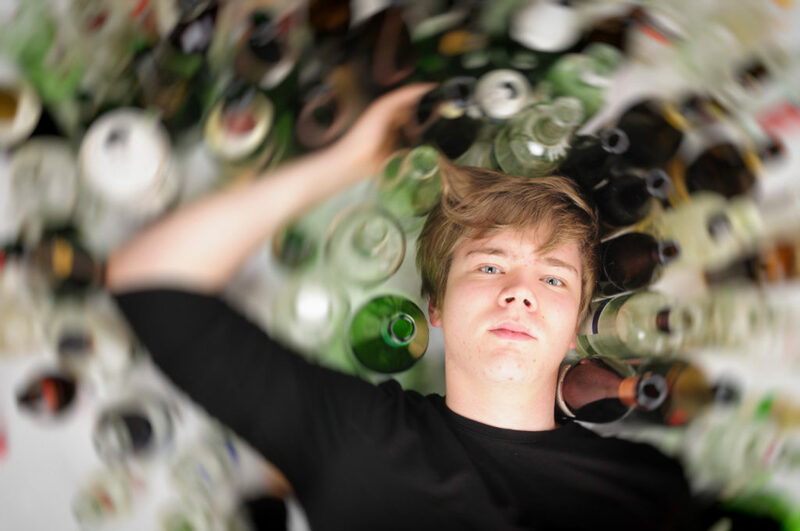 An individual who is alcoholically dependent typically feels that without it, they are unable to handle everyday life. This person is one whom we would classify as an alcoholic. This classification also means that they are more tolerant and will be compelled to drink more and more to start feeling the effects of alcohol on their body. They will most definitely also suffer from AWS (alcoholic withdrawal syndrome), which can include a series of anxiety, insomnia, hallucinations, tremors, chills, nausea, headaches, irritability and depression. While symptoms may take as little as a few hours or as long as a few days to show, they more than likely will get worse in the days following. If you are an abuser of alcohol, then chances are you are not yet as dependent on it as an alcoholic would be. You may experience a slight tolerance and a much less severe withdrawal phase. 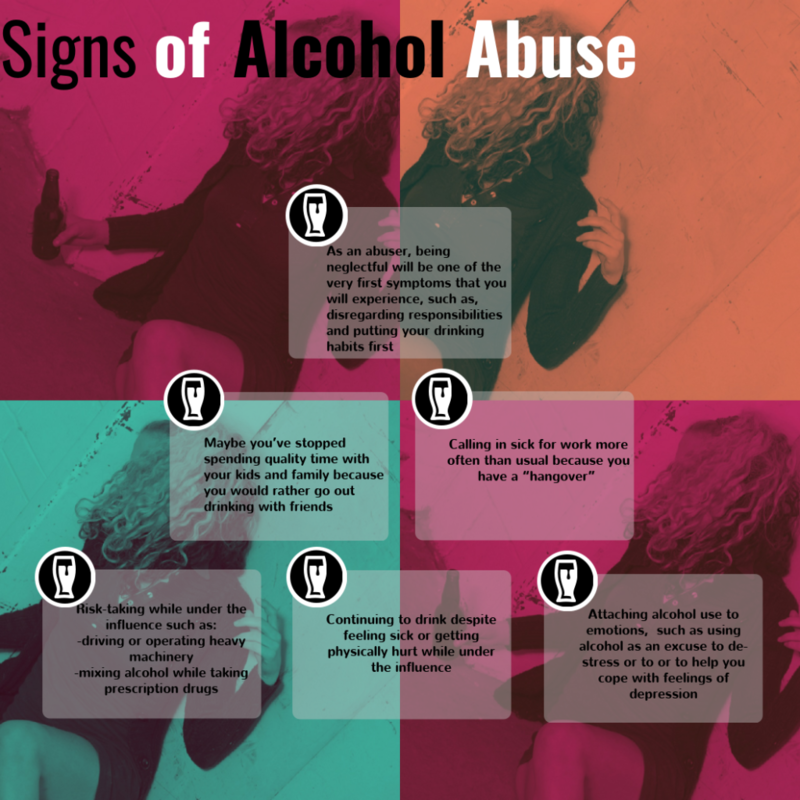 As an abuser, being neglectful will be one of the first symptoms that you will experience, such as disregarding responsibilities and putting your drinking habits first. Alcohol abuse also includes calling in sick for work more often than usual because you have a “hangover.” Maybe you’ve stopped spending quality time with your kids and family because you would instead go out drinking with friends. Attaching alcohol to emotions, such as drinking as an excuse to de-stress or to or to help you cope with feelings of loneliness. No matter your age or status, if you identify with either of these labels, it is essential to know that you are not alone in this battle. The first and most helpful step in intervention is to accept that you are an alcoholic or one struggling with alcohol abuse. Seek help– Prevail Intervention is here for you. People from all walks of life are fighting this same battle. It is vital to understand that this behavior does not only affect you, but it affects your loved ones and those around you who care about you as well. Have you been feeling more irritable or angry than you usually would while sober? Do you lose sleep due to devoting more time to your drinking habit? Have you been spending more money than you usually would on substances to freshen your breath, body mists (perfumes/colognes) and even air fresheners to mask the smell of alcohol? Do you have an “itch,” or craving to drink when it is not available? Do you seek to enhance your chances of achieving an even greater pleasure or high? When you haven’t had any alcohol for a specific time, do you begin to experience symptoms such as withdrawal accompanied by muscle aches, sweating, tremors, fever, diarrhea or insomnia?